and support the strong, healthy structure of skin and joints. Echinacea has been used successfully for hundreds of years to support immune health. Calm A.S.A.P.™ provides the support you need to help promote a sense of calm during times of peak stress. Flax seeds are one of the richest sources of omega-3 essential fatty acids (EFAs). EFAs are key in the maintenance of good health, and since the body cannot make them on its own, they must come from foods or dietary supplements. Ginkgo is most commonly known for being a stimulant of the brain and is often used for age related memory loss. Studies have shown that Ginkgo can improve circulation. Ginkgo has also been found to relieve fluid retention and minimize breast pain for women experiencing symptoms of PMS. Berberine is a golden yellow alkaloid obtained from the roots and stems of plants such as Indian Barberry and Oregon Grape. These berberine-containing plants have been used throughout the world dating back over 3,000 years. It’s prized for its ability to help restore natural beauty by providing valuable nutrients to skin, bones, hair, and nails,* but unfortunately much silica is lost in many food sources due to over-refining and processing. 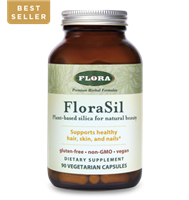 Supplementation with a carefully prepared and easily absorbed form of silica, like FloraSil®, can help provide the silica your body may be thirsting for. This all-vegan softgel is an ideal source of the omega-3 essential fatty acids EPA and DHA. EPA and DHA support healthy brain, cardiovascular and immune system functioning. Useful mostly as an antiviral and antibacterial herb, oregano oil has become widely used to fight off infections and yeast/fungal maladies. This fragrant herb also has a high phenol concentration, giving it exceptional antioxidant capabilities. Oregano is found to be most beneficial when taken as an oil extract. acid profile offering all 9 essential amino acids. Provides digestive enzymes and probiotics for optimal gut health and immunity. and Remedies To Treat Illness and Disease For Hundreds of Years. Stop Using Drugs and Learn About What Doctors Have Never Informed You About! Copyright © 2015 Smile Herb Shop. All Rights Reserved.